The circulation of trains between the stations of Murcia and Águilas and vice versa, will be interrupted as of this Monday, February 11 and until the 23 of the same month, as a result of the technical work that will be carried out for the laying in service of new safety installations in this section of the conventional width line. The Railway Infrastructure Administrator (ADIF) has set up an alternative road transport plan that will be in operation during the railway interruption period in order to guarantee the mobility of the users of the line. These actions logically affect the users of the rail service at the station and intermodal station of Totana. This alternative service will be maintained until February 22nd, the date on which the work is scheduled to be completed. Buses will be enabled and signposted at all stations along the route and all frequencies, travel modes and travelers' subscriptions will be maintained. 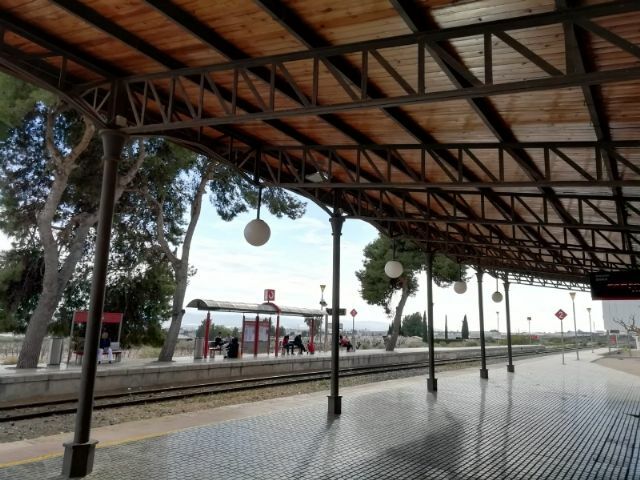 The circulation of the trains between the stations of Murcia Mercanc�as and Lorca Sutullena will be interrupted between the dates indicated for the technical operations for the commissioning of new safety installations in this section of the conventional gauge line. The cut of the railway network affects the stations of Alcantarilla, Librilla, Alhama, Totana, La Hoya, Lorca San Diego and Lorca Sutullena. The works will contribute to significantly reduce travel times and will increase the length of trains over 200 meters. ADIF announces a plan for alternative transport by road during this period of railway interruption that begins today with the aim of guaranteeing the mobility of the users of the C2 line of the suburban nucleus of Murcia. The works involve an investment of 7.6 million euros and will be used for the implementation of the Automatic Locking System by Single Track (BLAU), which will allow, by means of modern computer systems, to increase the safety and reliability conditions of the installations when educing the concurrence of the human factor. It will also increase the capacity and regularity of the traffic, rationalizing and optimizing the rail traffic, according to ADIF. � 2004-2019 Alamo Networks S.L. All right reserved.